Although I love these moments, I sometimes worry that I should be doing something more constructive. 😞 oh well, this is where I am at this time. Anywhooooo, back to my inspirational thought, a little funny a little not. With all of the turmoil around our government, I would love to wave a magic wand, over ALL the politicians, while in session. What would I do? Freeze them all, for a moment. Then have little helpers put ski masks on everyone, provide each one with a hot pink jump suit, to completely cover their clothing and last but definetly not least…I would move them to random sections of the room. Next, I would provide each one with a set of instructions in their hands, simple, yet to the point. (Don’t feel afraid, it’s a simple activity that might, just might, WAKE UP OUR LEADERS). Now VOTE LIKE A HUMAN! You my friend are part of the problem. It’s one thing to have a strong belief, it’s another as to support a group of people due to their affiliation, alone. No, I do not expect a system that actually began in 1787, to become perfected with such a simple task nor overnight. However, I do expect our new generation of politicians and citizens to begin to evolve, to a higher level. I realize our system must have balance and checks. Parties are labels based on a belief of several. However, I fear we have lost the meaning behind WHY? Why are you so passionate about claiming your party? Is it because your mean Uncle was a Democrat and you don’t want to be like him? Or is it because your parents told you too? Do you know what they stand for? I am not the one to ask if you ever want me to be ‘Politically Correct.’ But to be human, kind, caring and understanding, those labels I can uphold. The truth is, I don’t know! That’s why it is called inspired writing. I guess you need to create your own opinion and do with what you will. However, I will continue to imagine a beautiful scene where I wave my magic wand and pause Capitol Hill, for just a moment! And while I am rearranging the many great leaders we have (to allow them to vote like a human on our behalf), I hope I would have enough time to PAUSE! Pause, and stare into their eyes, push the wrinkles back a bit, adjust the corners of their mouths to point upwards. And peer into their, unnamed being, only to see them as grandparents playing, moms or dads laughing or as a spouse hugging their loved one. I will not believe that any of our elected officials began this journey out of greed or to destroy our great country. But I do believe many if not all, need a time to pause and reflect on why, who and what they stand for! America, we are amazing, unique, the land of opportunity and much more. Always have been and always will be. No matter what, throughout time our historical paradigm will be the Strong and the Brave! Even in down times, we have proven time and time again we will stand strong for this Great Nation! I do believe we can be the change. Yes, things seem to be a mess, but with a little twist in OUR perspectives good change will appear. How? Hmmmm, I will leave that up to you, I provided you with the vision it’s your turn to imagine it. Just ensure, your change is being kind and understanding. 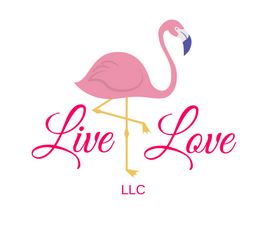 Yes, of course Livelove will create a ‘Happy’ Class for the White House! Debbie Crawford is up for it! Just email me and we will help you political leaders, feel alive, happy and/or ‘human’ again. If you enjoyed this inspired writing, follow me, share it, or don’t just enjoy! This entry was posted in Business, communication, Energy, Thank you and tagged action, behappy, Best, betrue, breathe, feelgood, feelings, human, political, reflect, vote on December 13, 2017 by teenadrake.